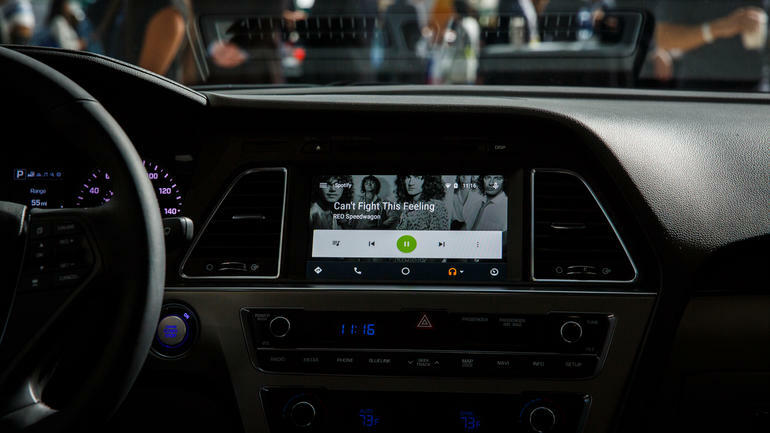 Hyundai has become the first car maker to offer Google’s Android Auto system built into its cars. The company will ship in its 2015 Sonata model with the built-in navigation option. Also Android smartphone users with a 2015 Sonata can ask dealers to download the system for free. Existing Sonata owners must have inbuilt navigation that’s part of an optional technology package. Android Auto will become available to other Hyundai models soon. With Android Auto, drivers’ smartphones can access certain apps, like Google Maps or Spotify, by voice, steering wheel controls or touchscreen graphics on the dashboard. It locks their phones while in use to help keep drivers’ eyes on the road. Google expects Android Auto to be offered on 28 different brands by the 2016 model year. Hyundai says it also expects to offer Apple’s version of the system, CarPlay, sometime soon. Owners will need the Android 5.0 Lollipop operating system or later, and the Android Auto companion app on their compatible phone to integrate Android Auto into Sonata’s screen and controls, the company in a press statement added.